Universal Analytics – Should Everyone Upgrade? 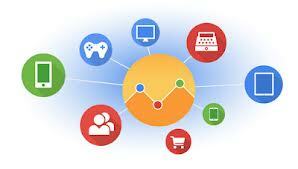 Check out this graphic image created by Google to promote the public beta release of Universal Analytics. What does it tell us? It looks like a mobile device, a shopping cart, a tablet, desktop, cash register and game console – all linked in to Google Analytics. That’s because this is what Universal Analytics is here to do – give business owners better and more complete information about how all their touchpoints work together to achieve outcomes (like sales). 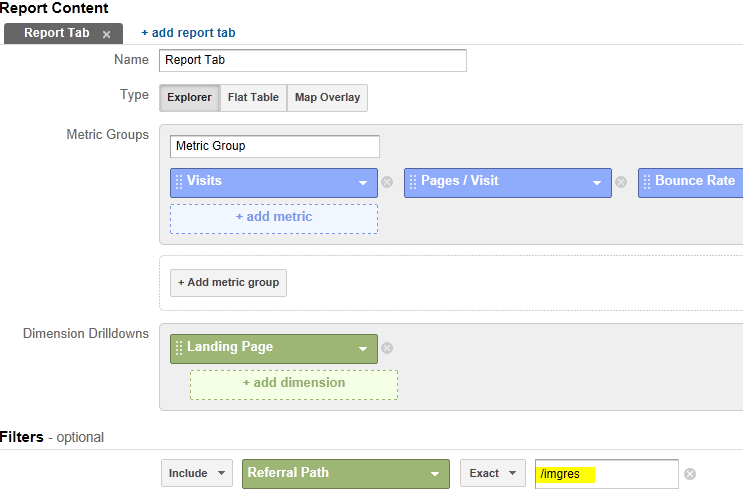 Universal Analytics has just been rolled out in a public beta, meaning anyone can now start using it. It’s free to use, but you should know that it’s also quite complicated and not necessarily going to be the magic marketing bullet for your particular business. Universal Analytics is Google Analytics but with new features which allows businesses to get more understanding about how their customers move from offline to online, from mobile to desktop, between browsers and more. It is basically following your customer through the many touchpoints they use to interact with your business. In relation to updating your tracking code – you can use Google Tag Manager to do this, and it is also a good idea not to remove your existing analytics tracking. What New Features Does Universal Analytics Provide? Custom dimensions and metrics – which means you can add new dimensions like phone calls, point of sales and other offline interactions. How Will It Track Customers? To track customer activity from offline to online and across browsers, you will need to assign customers a unique ID and have this associated with all their transactions on and offline. For example, you might use a sign-in form online to track across devices, or you might have a customer membership number to track offline and online(e.g. loyalty card). If you can assign an ID to an action, you can track it and follow user behaviour. E.g. if you had people swipe a card at your event, at your store, or use the number in your mobile and on your site or on a phone call – you could understand their behaviour across all those touchpoints. Accordingly, you will need to update your privacy policies and allow people the option of opting out. How will Google Analytics get all this data? It will use their new Measurement Protocol to allow developers to make http requests to send raw data directly to the Google Analytics servers. What Should I do with Existing Analytics Profiles and Code? Because Universal Analytics is in beta, doesn’t have a lot of community experience/support yet and is quite complicated – it’s best to keep your Google Analytics code running as is for now. You can put the new snippet on your site alongside your old one, and have both running simultaneously. You will also want to maintain your current profiles in analytics to maintain your history. Before diving into Universal Analytics it would be a good idea to map out all the data you want to integrate, how you would do it, and what your reports might look like. If this is then considered valuable information to your business, you can go ahead and implement. (even if only to use the same picture as us). Some of our clients even show online revenue coming from Google images – although so far, we have only seen significant amounts for client sites based in the US. The following is one of the reports we use to measure traffic from Google images. This shows the landing page the traffic has gone through to (although this won’t be completely helpful if you have many images on the one page, as well as metrics which are important to the particular client (visits, conversions, whatever). This report was created as a customised report as shown below, but you can also find this traffic by filtering your “referral traffic” for “/imgres”. 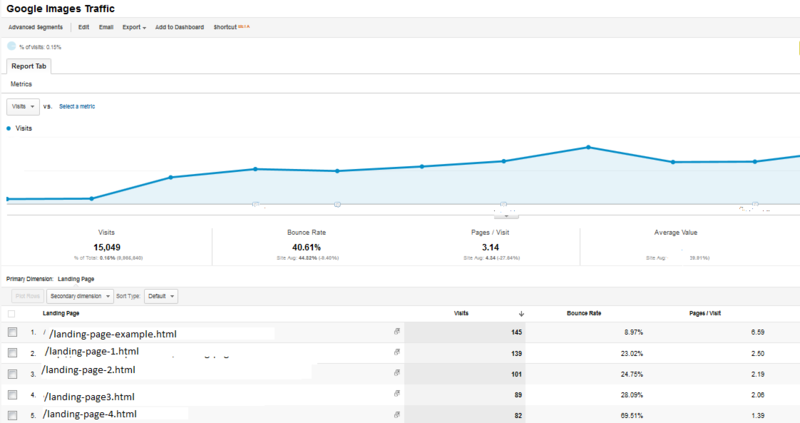 We have found that for some clients this traffic is highly converting, but for others not so much. What it really depends on is how valuable you make these images for potential customers. For example – if you run a hairdressing salon and you have a gallery of ‘wedding hair’ pictures – you can help potential searchers turn into customers if on your image landing page you highlight other useful information available on your site – for example – Do’s and don’ts for wedding hair, examples of your work, prices or reviews. To optimise your image, and help it be found by Google – don’t forget to add the alt attribute with a helpful name for your image. It also helps if you have a keyword rich file name (though not ridiculous). Specifying a width and height for your image can also make the page load faster, which is better for SEO. It’s useful for both human readers and search engines if you surround your image with relevant text, and finally, for usability and conversion, make the landing page clean and easy to navigate to other relevant information about that topic. So what are you waiting for – aren’t you keen to see what traffic your site is getting from Google Images? Quick and Dirty explanation of the difference in Google Analytics between results which are labeled ‘Not Set’ and those labeled ‘Not Provided’ – and what each of these mean. This means that the information about that visit, visitor or pageview was ‘not set’. That is, it doesn’t exist in Google Analytics. Logical examples of this might be to say the ‘mobile device’ of visitors from desktop views, or the keyword of a direct visit, was ‘not set’ – because such information just does not exist. These kind of ‘not set’s most often occur in reports you build yourself, and not so much in the standard reports. This term is used in the keywords report and is due to the privacy changes made by Google in recent times – any people who are logged in to Google while searching will have their natural search keywords blocked, and what you will see is ‘not provided’. This is likely to be now listed as one of your biggest ‘keywords’ in your keywords report. This will not happen to Google Adwords clicks – you will still get to find out exactly what they typed in (hypocrisy much?). While Google said it would be a small amount – for tech websites, and particularly online marketing websites, the percentage of blocked keywords is huge. For moomumedia.com it can be as high as 30%, and for others I’m sure it can be higher.